The Parkdale Neighbourhood Land Trust (PNLT) is a new organization that aims to preserve Parkdale as an inclusive and affordable neighbourhood with a socially, culturally and economically diverse population. 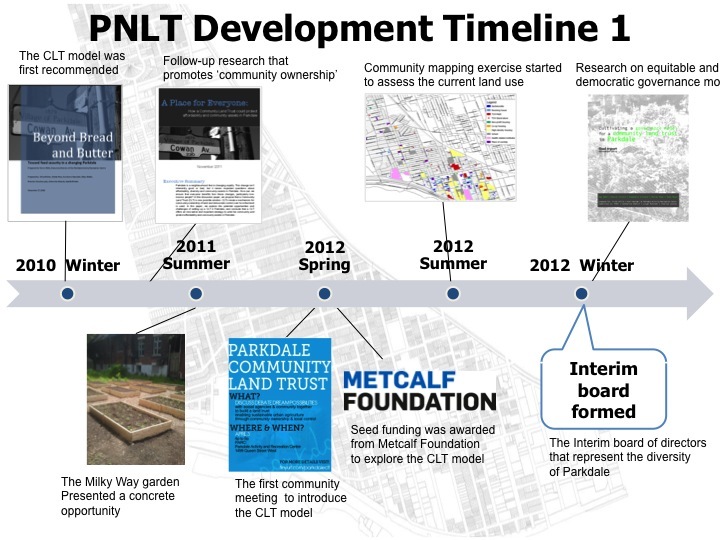 The idea for a CLT in Parkdale was seeded in 2010 through the Parkdale Peoples Economy, seeking to alleviate food security issues through a community land trust model. Through a series of community consultations that engaged over 100 community members and stakeholders, it evolved into an initiative to promote and enable community ownership of land, and to alleviate poverty through the lease of community-owned land to providers of affordable housing and affordable community and commercial services. 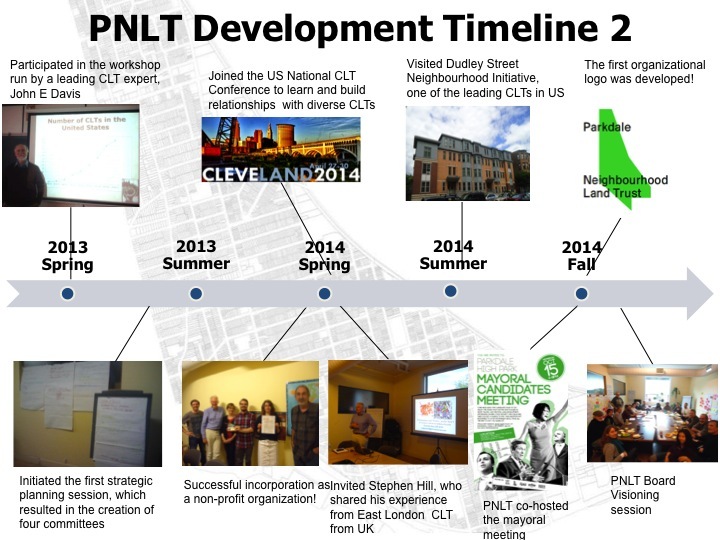 PNLT was incorporated as a non-profit corporation in 2014, and is currently in the process of applying for charitable status. The organization is run by the board of directors, consisting of local non-profit organizations and groups that represent the diversity of Parkdale. This includes the Parkdale Activity-Recreation Centre (PARC), The West End Food Co-Op, Greenest City, Roncesvalles-Macdonell Residents Association, Parkdale Community Legal Services, Parkdale Village BIA, St. Christopher House, and Sistering.